2 Bdrm Top flr Executive flat. V/bule. Hall. Lounge. Breakfast kitch. 2 Bdrms. Bathrm (CT band - E). Parking. Price around £205,000 Entry by arr. Viewing contact solicitors. Below Home Report Valuation (EPC band - C). 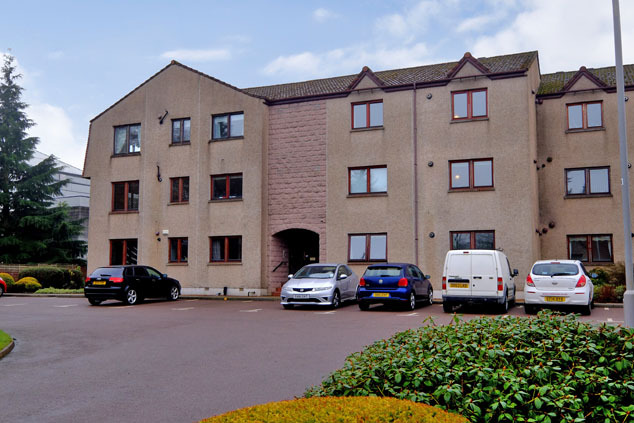 Nestled within mature grounds towards the end of quiet cul-de-sac and set away from through traffic, we are delighted to offer for sale this executive two bedroomed apartment occupying part of the top floor of a modern development. 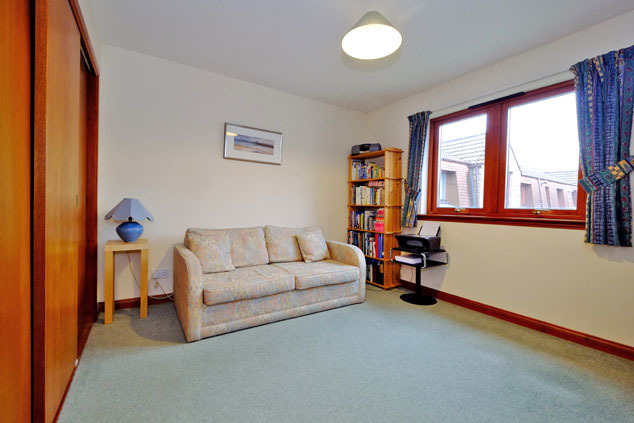 Boasting a superb location within one of Aberdeen’s most popular areas and with lots of amenities on its doorstep including local shops, library and primary schooling, this appealing property has much to offer. 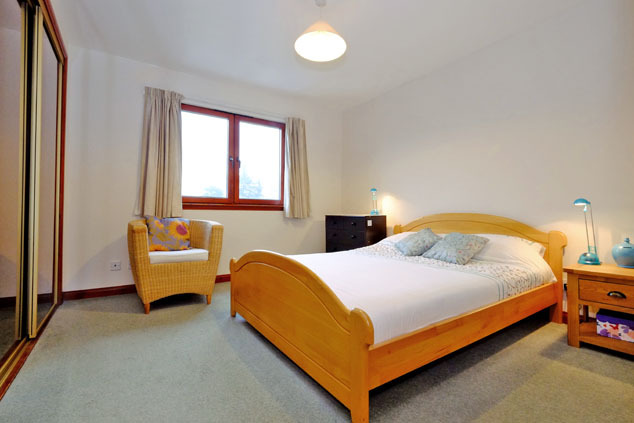 The accommodation comprises a welcoming entrance hall which leads onto the bright and comfortable lounge with dining space and continues through to the well appointed breakfasting kitchen. The double bedrooms both enjoy excellent storage facilities and finally, a centrally set bathroom completes the property. Outside the grounds are abundant with mature trees which provide shelter and borders are full with shrubs and plants which edge the car park bringing seasonal colour. This is truly an attractive apartment which is undoubtedly in ready to move into condition and therefore early viewing is genuinely recommended to appreciate the prime location and excellent level of accommodation on offer. Communal Hall Entered via a security entry door, the communal hallways are exceptionally well maintained under a factoring contract and have an abundance of light with the addition of windows to the rear. Outside the property, there is a large secure store providing excellent storage facilities and there is access to the communal loft space. Vestibule A natural wood door leads into the vestibule which boasts fresh neutral tones, carpeting and decorative cornicing. Entrance Hall Continuing through into the hallway, the décor remains neutral and timber doors lead onto all of the accommodation. The property enjoys a superb range of storage with a double cupboard providing shelving space and there is access into the exclusive loft space. Smoke alarm. Security entry handset. Lounge 13’9” x 12’5” [4.21m x 3.81m] approx. Enjoying a peaceful rear aspect overlooking the gardens, this well proportioned lounge is finished in simply neutral tones with warm carpeting and cornicing. The good proportions allow ample space for soft furnishings and dining table if required. TV point. Telephone point. Breakfasting Kitchen 12’4” x 7’8” [3.76m x 2.34m] approx. 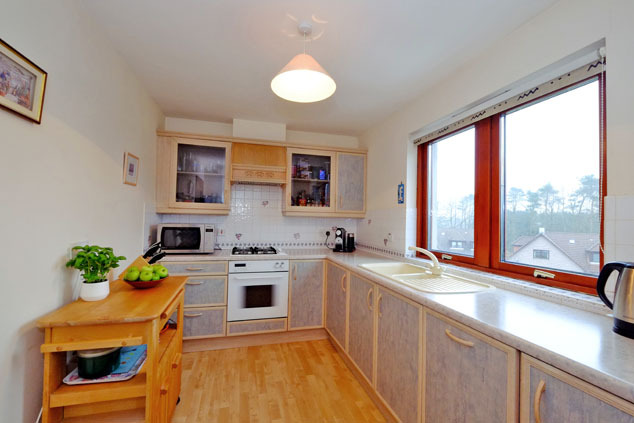 Overlooking the front of the property is this naturally bright and well appointed breakfasting kitchen. It boasts an excellent range of base and wall units incorporating glass fronted display cabinets, edged with splashback tiling and topped with co-ordinating roll top work surface with a 1.5 Asterite sink with mixer tap and drainer. The integrated appliances include a gas hob with concealed extractor above, oven, fridge, dishwasher and washer/dryer. The good dimensions allow space for a small table if required and the boiler is also located here. Telephone point. Bedroom 1 11’10” x 10’10” [3.61m x 3.32m] approx. This naturally bright and airy room is to the front and boasts a superb level of storage with a bank of full height wardrobes with sliding doors and an abundance of hanging and shelving space. The décor is in fresh tones with carpeting and there is ample floor space for items of free standing furniture. TV point. Telephone point. Bedroom 2 12’5” x 11’5” [3.80m x 3.48m] approx. 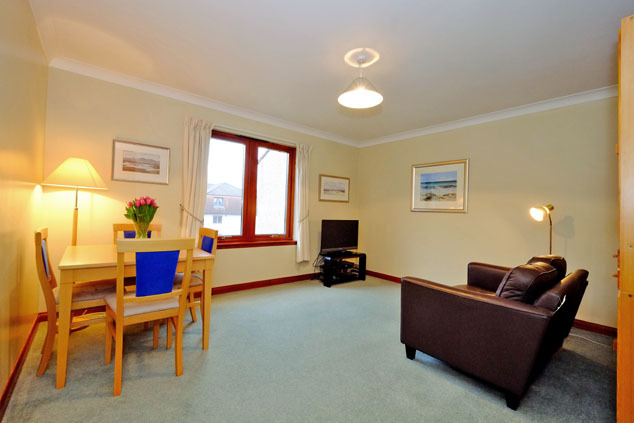 To the rear is this second generous double bedroom where the neutral décor and carpeting continue. A triple wardrobe with sliding doors provides excellent built-in storage and there is space for required furniture. Telephone point. Bathroom 8’5” x 8’1” [2.59m x 2.48m] approx. at widest. 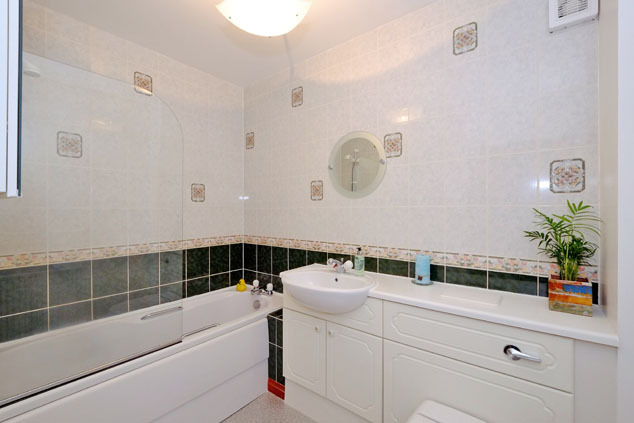 Centrally set, this spacious bathroom comprises a three piece white suite including a w.c. and wash hand basin built into a storage unit with display top and a bath with mains pressure shower above and glass screen completes the suite. Finishing touches include extensive splashback tiling around the sanitary wear, wall mounted mirror and medicine cabinet. Extractor. Outside This lovely property has a wonderful private feel as it is surrounded by very mature grounds which provide a great deal of shelter and privacy. There is a residents’ car park to the front of the development where the property has an allocated space and there are ample visitors’ bays. The car parks are edged with deep borders abundant with colourful shrubs and plants bringing seasonal colour to the grounds. Notes Gas central heating. Triple glazing. EPC=C. The subjects will be sold inclusive of all fitted floor coverings, light fittings, curtains and blinds, along with all integrated appliances. Please note, the free standing freezer will not remain.